Sabbath Walk: Going to Church? 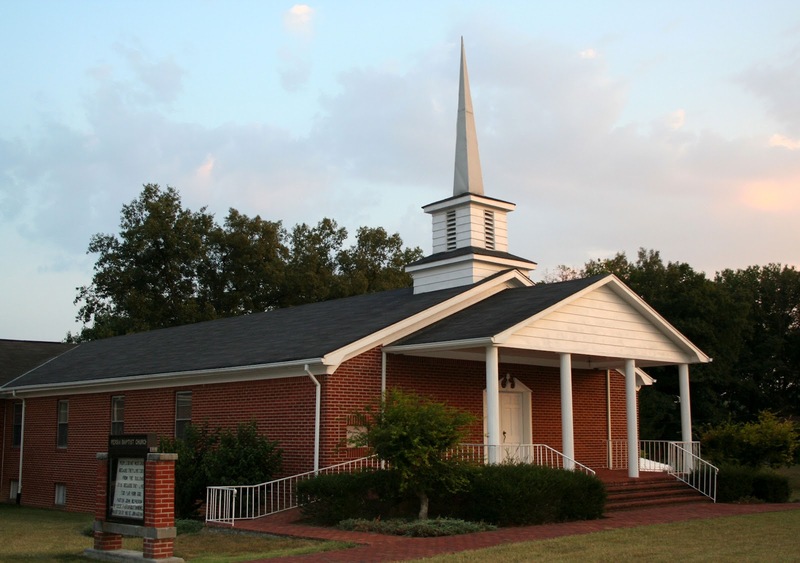 MAIN POINT: What does it mean to "go to church?" It's not buildings. It's people. Maybe, it is time we stop using the words, "going to church." Instead, use . . . . . .
One of my earliest encounters with Church is at a youth group meeting. Having ventured forward during an evangelistic rally, I remember the evangelist laying hands on me. Strange spells surround me after that. I do not recall all the details of that event, but I remember I wanted to just lay myself down on the grass then. After that, I feel I have confessed Jesus. I am a believer. Dutifully, the next step is Church. That youth group meeting happens to be my first prolonged participation at any Christian based gathering within the compounds of a church building. Despite my best efforts, I have problems fitting in. The teacher has problems trying to coax me in. The group has problems on how to receive an unfamiliar newbie into a familiar group environment. Going to Church is easy. Fitting in is not. After the first meeting, I never went back. Nobody followed up. No one cared. I didn't care too. My next church happens to be a pentecostal church. Belonging to the Assembly of God denomination, it is warm and welcoming. Other than the loud singing and the frequent breaking out into strange tongues, this church seems ok. More importantly, even if I cannot fit into the AOG Church programs, I can certainly fit into my friends' lunch gatherings. My early years in Church has been largely sustained by good friends who stayed with me, traveled, with me, and encouraged me on the discipline of attending a Church weekly. Without their initial years of companionship, I seriously doubt my ability to go to church on my own. A) Why Go To Church? The conventional wisdom is that regular church going is a sign that I am NOT a nominal Christian. Whether I read the Bible daily, pray twice a day, or give thanks at each meal, people generally do not care. Skip Church once or twice in a row, and if you are a leader, the feathers of concern will have been ruffled. No amount of private spirituality can overcome the perceptions about one's public church-going track record. Simply put, the perceptions are pretty straightforward. If you go to Church, you are deemed fine and has shown proof you are on your way to heaven. If you stop going to Church, you have problems, and you are on your way to being asked: "Are you truly saved?" These statements are naive, but mind you, quite a number of people actually believes them. Even if they do not spell it out in words, you can sense it out in actions like furrowed brows or concerned tones. It is a legitimate concern that not all who go to church are saved. Likewise, not all who do not go to church are not saved. It comes back to the basic question of: Do you know Jesus? B) Three Problems with the Phrase "Going to Church"
I have three concerns about these three words, "going to church." Firstly, it makes church look like a building or an institution. From mainline denominations to megachurches, small assemblies to house churches, it requires a place before the word 'church' can be comfortably used. My question: Is Church a building? Didn't the Apostle Peter call church as "living stones?" rather than bricks and mortar? From Scriptures, it is clear that church is not made of physical stones but of people. The popular chorus says it well. He dwells within the hearts of men alone"
Secondly, in a need-obsessed society, the three words make church look like going someplace to have our needs met. It makes Church look like a needs-fulfillment agency. It paints a deceptive picture that going to Church automatically meets our needs. In other words, we go to church in order for our needs to be met. If our needs are not met, we leave for another church that WILL! I have been in church groups long enough to hear all kinds of reasons why people leave their existing church. "I am leaving for another church because this church does not meet my needs." "The other church's children's program is better, that is why I am going there." "The other church has better preaching." "This church does not meet my needs or my family's needs." The last example is perhaps one of the biggest indictment on how the world has indoctrinated us with our own self-importance. For example, TV commercials have given us a false belief that the most important person is us. We have a right to get this new car. We deserve a new hairdo. We are so important that we need this new shirt or dress. With the overwhelming focus on self-need, is that any surprise why we have more impatient drivers, more rude consumers, and more demanding customers? The culture of entitlement is not just limited to kids or young people. The culture of entitlement is everywhere. The critical question we need to ask is this: If everyone who goes to church are waiting for spiritual handouts, who does the giving? Who does the handing out? In my years of attending church, I do not recall myself even having my "needs met." It is absurd just to think that the primary purpose of Church is to meet needs. Perhaps, I have been serving a lot that that question has often not been asked in the first place. Indeed, that is so true for other denominations and Christian groups as well. When we come to God thinking that our own relationship is primary, we have failed to understand what church is all about. Church is not about the miserable I, Me, or Myself. Church is a community of believers, humbled that they are worthy even to serve one another. I love this section from the Anglican Book of Prayer often said prior to Communion. "We do not come to this table for solace only, and not for strength; for pardon only, and not for renewal. Let the grace of this Holy Communion make us one body, one spirit in Christ, that we may worthily serve the world in his name." This is the spirit of church going. For me, going to Church has got nothing to do with coming in the name of self, but everything to do with coming together as a forgiven people in the name of Jesus Christ. We need grace, not goods. We seek God not to meet our self-needs, but to ask how we can avail ourselves to meet the needs of God's people together. It is not a "church out there" waiting for us to come. It is a "people becoming church" gradually taking shape as individual people deny their self-seeking ways, take up the cross of service, and following Jesus. "Becoming Church" involves us as active participants, a living organism instead of dead bricks. "Becoming Church" is about becoming more the bride of Christ, and not about meeting needs. "Becoming Church" is about community building, rather than individual ego-boosting. "Becoming Church" is a growth-in-progress, rather than a finished product. How do we know we are on the way to become Church? When we serve God together as members of the holy priesthood, (priesthood of all believers). When we offer spiritual sacrifices to God through our personal giving, worship, and service. When we become the people of God that God has called us to become. One more thing. The end of 1 Peter 2:5 shows us the purpose of becoming Church. The words, "offering spiritual sacrifices acceptable to God through Jesus Christ" indicates one thing: Worship. Maybe, the best words to replace "going to church" is this: I am going to worship God together with my brothers and sisters in Church. Is that a mouthful? Try this. "I'm worshiping with God's people in Church."